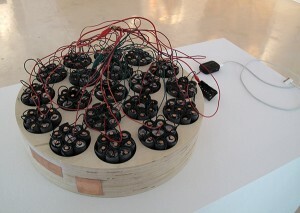 The DS Institute Sweat Battery is used/exhibited in conjunction with the Mobile Sauna. 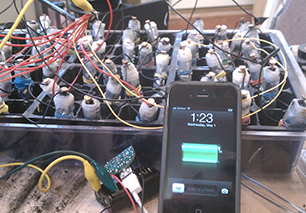 Sauna users volunteered their sweat which is used as an active ingredient in an electrical battery that charges cell phones. This sweat battery is constructed using copper nails and epdm rubber left over from sauna construction, paper towels (soaked in donated sweat), activated charcoal, wires, usb adapter, cell phone adapter, wood. 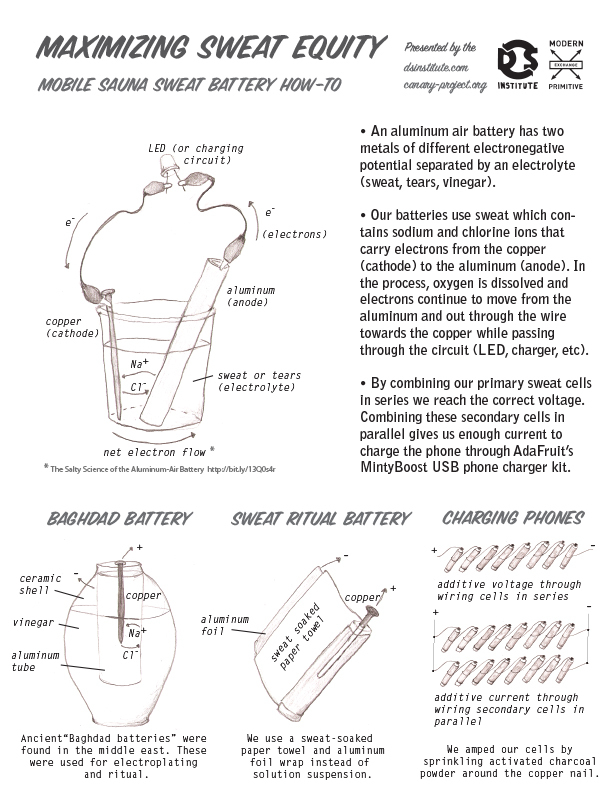 Use the instruction sheet below to learn how the sweat battery works.